Researchers at The University of Western Australia and Harry Perkins Institute of Medical Research have made a fundamental discovery about of the atomic structure and function of the biological 'factories' in cells that make energy, providing a new means to target the 'machines' within factories for drug treatments. Although not widely known outside scientific circles, mitochondria are essential for life and were the inspiration for "midchlorians," force-sensitive particles in cells, as featured in the film Star Wars: The Phantom Menace. The research, published today in Nature, was led by Professor Nenad Ban from ETH Zurich in Switzerland, in collaboration with researchers from UWA's School of Molecular Sciences and Harry Perkins Institute of Medical Research: Associate Professor Aleksandra Filipovska, Head of Mitochondrial Medicine and Biology, Associate Professor Oliver Rackham, Head of Synthetic Biology and Drug Discovery and their Ph.D. student Richard Lee. 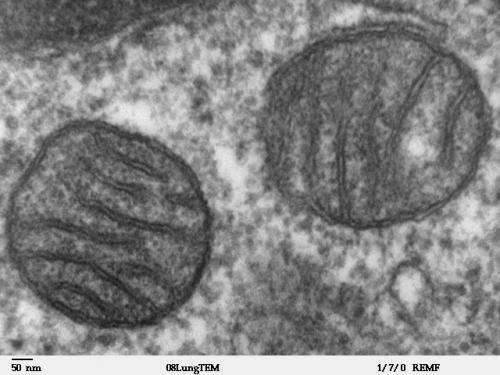 "Mitochondria contain a set of genes that are used to make key protein building blocks that enable mitochondria to produce energy," she said. "These proteins are essential for energy production however little is known about how they are made. The recent discovery of the atomic structure of the machine that makes these proteins (the mitochondrial ribosome) has revealed how they are made. "Surprisingly, this machine blocks itself from making the proteins until it is precisely located where these proteins are required within mitochondria. This is highly unusual and previously not found in nature." "Defects in mitochondrial function underlie many common diseases such as neurodegenerative, metabolic and heart diseases, cancer, diabetes and ageing," she said. "Therefore molecular discoveries provide the much-needed knowledge that enables us to make the leap to disease treatments and drug discoveries." "We are now working on developing models of disease to study these defects. We are using our models to screen for drugs that can selectively rescue defects in protein synthesis and energy production."